What features and incidents have automotive logistics in North America? Barcelona, 15 de mayo del 2014.- Below, we reproduce in full a report published by the expert portal: www.automotivelogisticsmagazine.com on the impact and solutions to automotive logistics operators in North America. The main problems that are the vehicle transport companies here in Europe and how can we learn from these problems. Magnificent story of recommended reading and reference. 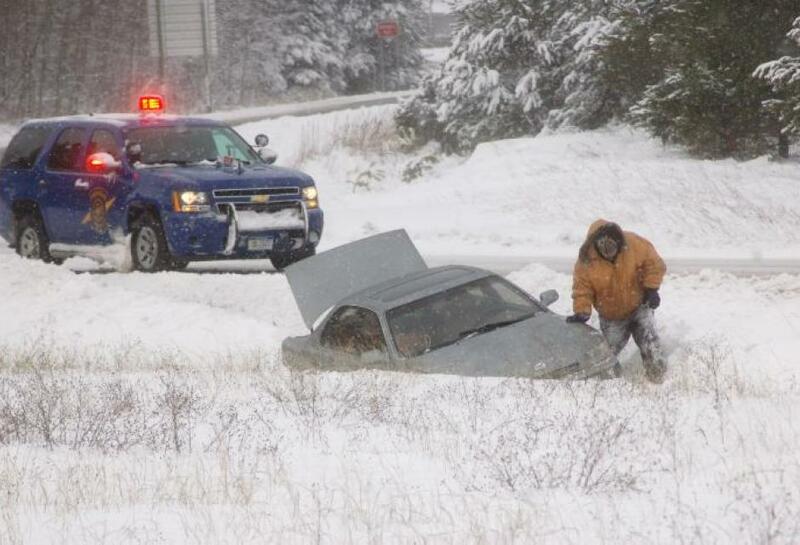 The car hauling sector in North America is facing some of the biggest challenges in its history following a winter in which vehicle logistics capacity has been severely constrained by bad weather. A shortage of railcars and disturbances in the network has led to thousands of vehicles stranded at rail ramps, vehicle yards and even temporary storage space across the country. 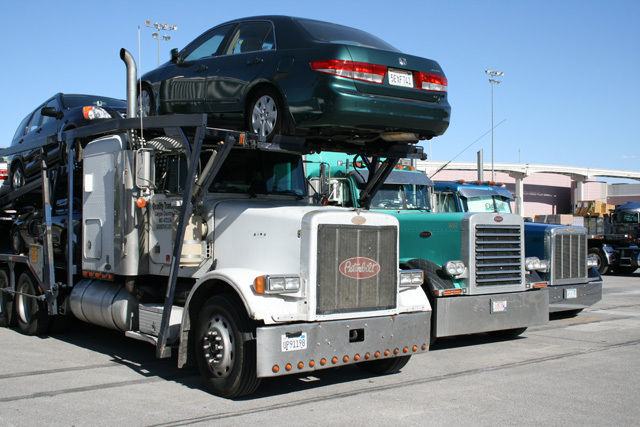 While the storms may have finally passed, some trucking carriers are worried that financing and regulatory pressure will put a further strain on car hauling capacity as North America continues to see production increase. The industry is also seeing a shortage of drivers as the sector struggles to recruit new and young drivers. Speaking at this week’s Finished Vehicle Logistics North America conference in California, Michael Riggs, chairman of the region’s biggest transport provider, Jack Cooper Transport (pictured), said that the “perfect storm” that hit the industry this past winter may well represent a “new normal”. Beyond the weather, he pointed to difficult financing pressures, new regulation and an explosion in costly legal disputes. Riggs said that the weather disturbances have led to some of the worst constraints that the vehicle logistics industry has seen in more than 20 years. Executives from carmakers noted that even today they still have many vehicles stranded, and have had to fill yards or even lease temporary space to store vehicles. Brian Mason, national manager for strategic planning and communication at Toyota Logistics Service, said that the carmaker had 17,000 vehicles alone waiting at its plant in Cambridge and Woodstock, in Canada, because of difficulties in getting railcars in the region. Mason said that the company has had to deviate 29,000 vehicles as a result of the bad weather since January. The total number of vehicles affected by the delays runs into the hundreds of thousands. “The winter of 2014 was the worst that a lot of people could remember in a long period of time,” said Steve Rand, CEO of port operator Amports. “We learned that capacity has value. The rail system really ground to a halt. There were as many as 150,000 finished vehicles behind plants in the US that were to be moved domestically and some internationally without a ride.” Rand noted the back up on shipments and the loss of velocity on the railroads, a key measure of their on-time performance. It also hit the road haulers and for Riggs there was a possibility that this could become a regular feature if the worst forecasts of the environmentalists come true. “Are you willing to bet your systems and processes on this never happening again?,” asked Riggs. “That is a real risk. We have to manage for a worst-case scenario.” The difficulties in rail appear to have benefited the car haul sector. Mason said that Toyota had been forced to move more vehicles onto road and that the positive experience with many of those operations had led the carmaker to consider making some of those switches permanent. “Whereas we have typically used rail for distances of 200-300 miles or more, now we are doing more moves of 500-600 miles,” he said. “It’s been a good story in terms of lead times and quality. “There is a cost up to moving vehicles that far by road, but there is also a cost up in having vehicles stranded,” he added. Looking out, Riggs said that there could be further capacity issues for road and rail with North American production expected to approach 19m units by the end of the decade (from 16.2m in 2013) There will also be significant assembly growth out of Mexico – 40% by 2020 reaching 4m units using PWC Autofacts data. Kathleen McCann, president of United Road, said that car haulaway sector was also short some 2,000-3,000 drivers. More than 20% of drivers were older than 50 years old, with less than 8% currently under 30 years ago. “We have to do more to attract new drivers to the sector otherwise we will face a major shortage,” she said. Posted in AUTOMOTIVE LOGISTICS IN NORTH AMÉRICATagged automotive logistics magazine, Brian Mason, DISTRIBUCIÓN NACIONAL COCHES, Finished Vehicle Logistics North America conference in California, GRUPO SETRAM, Logística integral automóvil, Michael Riggs, national manager for strategic planning and communication at Toyota Logistics Service, new and young drivers, PORTAVEHÍCULOS, SETRAM, TRANSPORTE COCHES, What features and incidents have automotive logistics in North AmericaBookmark the permalink.